A dry guitar is an unhappy guitar. Be sure to keep your instrument humidified. A simple humidifier is all you need, inside the case, to keep your wood baby in top shape. 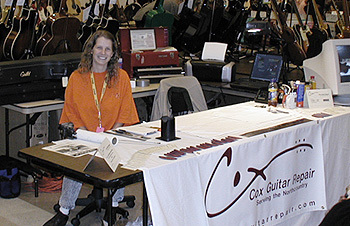 Cox Guitar Repair is back! I am available for all kinds of repairs and setup needs. For any questions, feeding and care for your instrument or even a quick repair quote, use my simple online contact form to send an email. I will get back to you asap. Thank You for visting CoxGuitarRepair.com! Its time to HUMIDIFY! Don't be caught with a dry guitar. Humidification is simple to do, but is often overlooked by every one of us in these dry months. Be sure to humidify your instrument by using a simple in-case humidifier and LEAVE your instrument IN the case for it to work best. Contact me for any humidification advice and questions you may have. 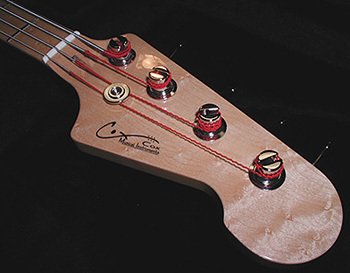 All images and logos ©Cox Guitar Repair unless otherwise noted.